Betway Review 9.5/10 - Get a 100% Welcome Bonus, up to £250! Betway is a British online gambling and betting operator that was established in 2006 and football fans among our readers will probably recognise it as the official sponsor of West Ham Football Club. On the other hand, the casino fans will be delighted to hear that Betway has recently paid out the highest jackpot slot award of almost €18 million – a very important piece of information for anyone, you will agree. High jackpots are just one of their pros we covered in our Betway review, and if you stay with us more, you’ll learn all about their entire offer including bonuses, customer support, security, and everything else you can find on this amazing website. The website has a pleasant and elegant black-and-blue design with all the necessary buttons being adequately highlighted. The platform boasts simplicity while being highly intuitive and functional at the same time. In addition, customers can also download the casino’s solid mobile app and play Betway games on the go. Betway casino currently has somewhere around 450 games. The roster contains all the relevant casino categories such as slots, live casino, and table games with the addition of a couple of casual games, but Betway stands out from the other best casino sites in the UK with its offer of retro slots, something not so common in the casino world. Regardless of inclinations, all players can find a useful bonus on this casino. Betway has quite a generous Welcome Bonus for their new customers, along with special Betway offers for live casino enthusiasts. However, all bonuses come with a rather high wagering requirement of 50x that you have to fulfil before you start with the withdrawal process. Members that find themselves in trouble can look for an answer in the comprehensive Help library. The page pretty much covers everything you need to know when opening an account and playing for the first time. Alternatively, if the problem is more urgent, players can use the other three channels – Betway live chat, email support@betway.com, and the phone number 0808 238 9841. The casino currently accepts only three currencies: US dollars, euros and pounds; while the members can use Neteller, Visa, Mastercard, PayPal, and Rapid Transfer as methods of payment. The minimum deposit and withdrawal amounts are 10 USD/EUR/GBP. The website is licensed and regulated both by the Malta Gaming Authority and the UK Gambling Commission. If you want to make sure their games are fair, you can visit their Fairness page that lists payout percentages for all the games. The website contains numerous bonuses, but most of them are time sensitive and last for only a week or a month. The only regular bonuses the site has are the Multi-Deposit Welcome Bonus for every new customer and a special 777 Blackjack Bonus for live casino fans. Although the roster is a bit lacklustre, both bonuses bring generous rewards and a useful boost to your regular gameplay. In addition, the bonus balance isn’t tied to your deposited cash, so you can always withdraw your deposited funds without the risk of losing them. Betway has prepared a generous Multi-Deposit Bonus for all new members. To claim it, you just need to opt in during the registration and make a minimum deposit of £20 and Betway will grant you a 100% match bonus up to £250 deposit. If you wish to continue with the promo, you can apply to get 20% from your second and even a 50% match bonus from your third deposit. In total, you can receive £1,000 in bonus funds, but note that Betway has unusually high wagering requirements and you’ll have to wager through your bonus amount 50 times before withdrawing. Blackjack enthusiasts have a special weekend promo that can bring them £500 in bonus money. Members don’t need to make any qualifying deposit, but instead, they need to enter any live Blackjack, get three 7s in one hand, and contact the customer support in order to claim their prize. The funds will be available in the next 72 hours, but remember that you can’t claim the bonus if betting behind another player and that split cards won’t count. In addition, the bonus funds have to be wagered 50 times before you can withdraw them. The game library at Betway has somewhere around 450 different titles. Members can choose between slots, live casino, Blackjack, Roulette, Video Poker, and Live Casino, along with a category with casual games like Bingo and Dreamcatcher Wheel. Most games have a Play For Fun option, so you can test them before you start playing. Most of the roster is provided by Microgaming, while the live casino section is supplied by Evolution Gaming. The slots roster is probably the most comprehensive category we found while writing our Betway review. The roster has around 300 regular slot games, mostly by Microgaming, with over 20 different jackpots with prizes ranging from €400 to €4,000,000. One of the biggest surprises was the retro slots category that has approximately 70 games, but with only three winning lines. The live casino lobby contains 11 rooms all produced by Evolution Gaming. Poker fans can choose between 4 different poker games with the addition of Baccarat, Blackjack, Roulette, and a live Dreamcatcher wheel. Video Poker fans can enjoy a rich selection of 20 poker games. The roster contains all kinds of variations including Deuces Wild, Tens or Better, Texas Hold ‘Em, and Aces & Faces, to name a few. The Roulette category has 10 games with the addition of a couple of live Roulette rooms. Members can choose between various Roulette games such as European, French, and American Roulette. The best game we encountered while making our Betway review has to be Multiplayer Roulette Diamond Edition for its high stakes, slick atmosphere, and the multiplayer option. Blackjack enthusiasts will be delighted to find more than 25 different Blackjack games. The roster is highly diversified and includes Classic, European, Hi-Lo, Vegas, and many other types of Blackjack. We have to single out Atlantic City Blackjack Multi Hand for the amazing opportunity to win up to 5 times of your original stake. Every customer that creates a Betway account automatically enters the tier system that consists of six levels: blue, bronze, silver, gold, platinum, and black. To progress through these levels, players must earn Tier points, but they can also earn Plus points and Bonus Plus Points that can be converted for special promos. The more players progress, the bigger are the benefits. For example, the default tier Blue brings you dedicated support and exclusive promotions. The top-most level Black, on the other hand, gives you all that plus invitations to sports and VIP events, as well as better Plus Point conversion rates. The website is quite simple in design and features an elegant combination of black-and-blue as its primary colours. The top of the page contains Betway login and sign up buttons, and, once you log in, you can also see your account information along with the balance display. The centre of the screen is reserved for game categories and titles, while the bottom of the page contains all the necessary links for the legal documents, terms and conditions, and licensing. When it comes to functionality, the website has seamless and fast transitions. The games run at optimal speed, you can manipulate the screen size on any game, and we didn’t encounter any serious glitches or hindrances while playing games. Customers who prefer playing games outside their homes can download Betway’s app available for both iOS and Android platform. The app comes equipped with more than a hundred games in the roster and all the categories are covered. Every game has a small navigation guide so you can learn how to play before you start. The app also lets you claim promos, deposit, and withdraw, but note that it doesn’t feature Free Play like the browser version does. The difference between our and other Betway reviews is in the fact that we create a real account and deposit and play with real money so you could get a full picture of the user experience. On the registration page, you need to check the list of eligible countries you are allowed to play from. After you have made sure that yours is there, you may proceed with the account creation which is divided into three steps. First, you need to type in your email, desired username, and password, after which the website will ask for your name, date of birth and country. Finally, you will have to type in your address and phone number, and you will be ready to gamble away. The website currently comes in various languages, like English, Danish, German, Spanish, Finnish, Italian, and Norwegian, so you can adjust the platform to make your experience more enjoyable. Players who need help or extra information can find their answers on the website’s comprehensive Help page. In case you require information you can’t find there, you can contact the casino by the email support@betway.com, but if your problem is more serious and requires immediate attention, you can reach their live chat team. We tested them out with some general questions, and they were pretty quick to reply, offering a helpful and knowledgeable response. Finally, players can also call the Betway contact number 0808 238 9841. Their phone support team works from Monday to Sunday from 8 a.m. to Midnight. The website currently accepts only US dollars, euros, and pounds. When it comes to payment methods, you can load your funds using Neteller, Visa, Mastercard, PayPal, and Rapid Transfer, with both minimum deposit and withdrawal amounts being 10 USD/EUR/GBP. For e-wallet users the deposits are instant, but withdrawals come with a standard 2-hour waiting period. The most important thing to note is that before the Betway withdrawal process takes place, you will have to upload your passport, ID, or a bank statement in order to prove your identity. The website is licensed both by the Malta Gaming Authority (licence number C39710), and the UK Gambling Commission (licence number 000-039372-R-319367). 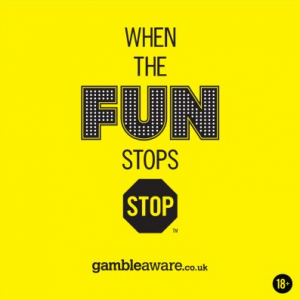 Also, the website collaborates with BeGambleAware and GamStop in order to provide protection in the case of irresponsible gambling symptoms. When it comes to fairness, the casino has a page where they display RTP values for each game, and all their software is tested by eCOGRA. With our Betway review coming to an end, it’s necessary to mention that the website offers a well-tailored casino experience. The game roster contains just enough titles to keep you occupied while their diversity makes Betway stand out from its competition. However, that is not all, so here’s a quick reminder of all their benefits.